There are few places on the planet with more religious festivals crammed into a single year than India. And while most festivals are constrained by regional or religious boundaries, the one festival that is celebrated across the entire country is Diwali. This festive month we take a look at what it's like celebrating it in our capital. 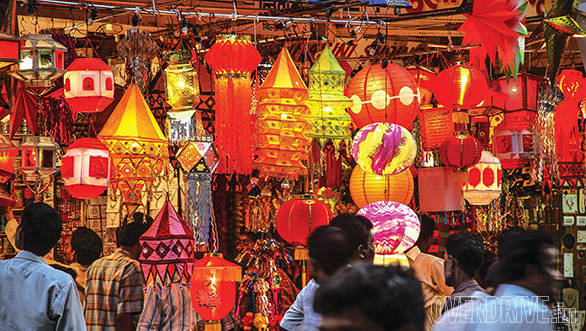 Traditionally the festival symbolises the triumph of good over evil, light over darkness and knowledge over ignorance. There are many different key events from Indian mythology that Diwali is said to signify, from the return of the Pandavas after thirteen years of exile to the return of Ram and Sita after defeating Ravan. For others it is the celebration of the birth of Lakshmi, the goddess of wealth and prosperity. Whatever the belief though, the festival has always been a true nation wide celebration. It's not hard to see the universal appeal of Diwali, it's a happy, jolly time for everyone with rituals that are hard not to like. Who wouldn't want new clothes, newly painted homes and a thousand colours lighting up the skies? And though it's a Hindu festival, this five day festival is celebrated in a secular manner across the country. The people of Delhi though take their celebrations to a completely different level. The shopping and gift giving is taken very seriously with people going on a manic spending spree. As we drove through the streets of Old Delhi they turned into a frenzy of action with courier boys running helter skelter through the narrow bylanes on motorcycles making last minute deliveries of gifts. We visited roadside markets where little oil lamps called 'diyas' are bought in hundreds to light up each and every home in the city. Speaking of light the Amaze was truly a great companion on the drive through the city with its light power steering and small exterior dimensions making short work of the crowded streets around Chandni Chowk. We visited Dariba Kalan, a little street dating back to the 17th century. It's home to one of the oldest and largest gold and silver jewellery markets in Asia. Here artisans make the multitude of ornaments that are sold on Dhanteras. The lanes are also filled with sweet shops that sell the delicious sweets which find their way to many homes across Delhi. We'd be lying if we said that none of them made their way into our stomaches while the Amaze's spacious 400 litre boot was filled with more boxes of sweet delights for the friends back home. As day turns into night people return to their homes to spend time with friends and family. On Dhanteras, the first day of the celebration, people traditionally purchase kitchen utensils for good luck and prosperity. Gold and silver are also purchased in great quantities on this auspicious day. Then come the many social evenings with people bonding over a friendly game of cards - that is a newer tradition but taken equally seriously. 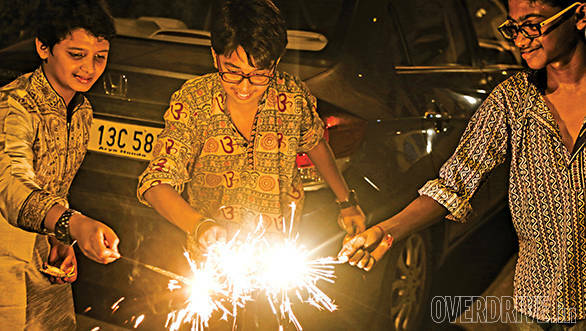 Diwali is also about family and it's the one festival that brings people from other parts of the country back to their native homes to celebrate the occasion with their loved ones. For us too, the most fun was celebrating this festival with family as the neighbourhood we were staying in lit up the night sky with fireworks. The biggest and baddest fireworks can be seen primarily on the second and the third day of Diwali as all of Delhi tries to out do each other with the bigger, louder and more spectacular rockets and firecrackers. We were content to just sit back and watching the show. 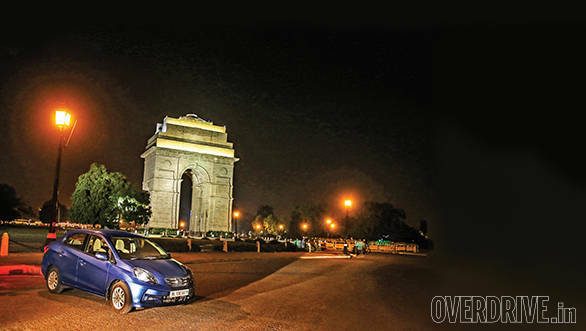 We had a great time driving around the streets of Delhi in the brilliant Amaze and the city really turns into a mad rush of shopping, great food and merry people. What a great way to spend our Diwali.